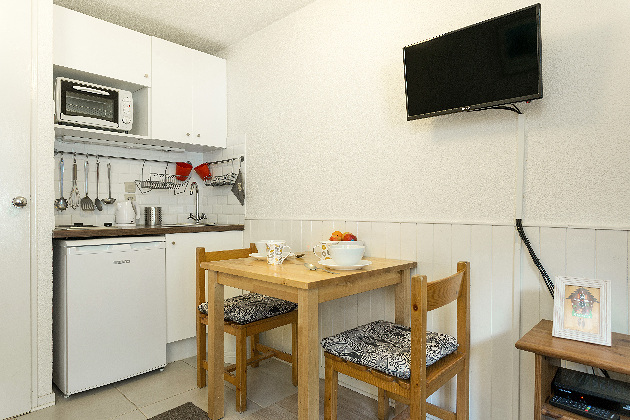 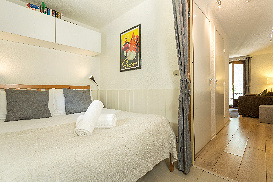 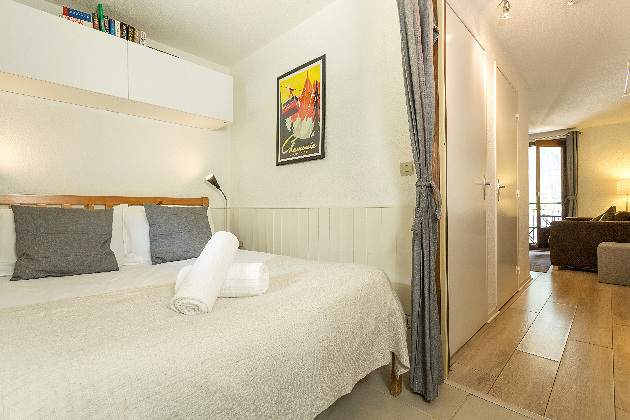 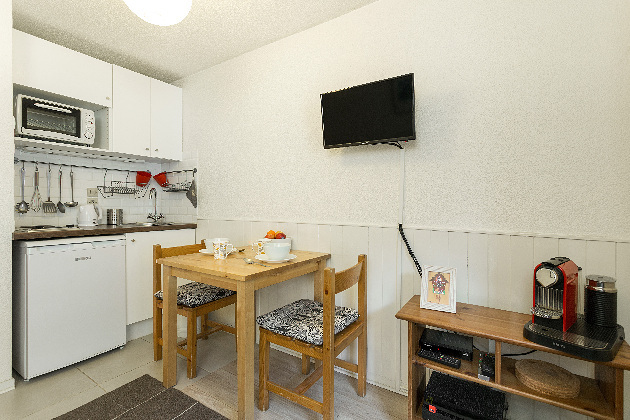 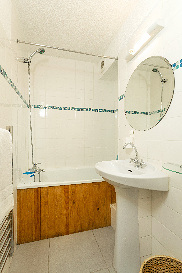 This compact but perfectly formed studio is a great bolt-hole for a couple on their own or with a child or even for 4 persons on a tight budget. 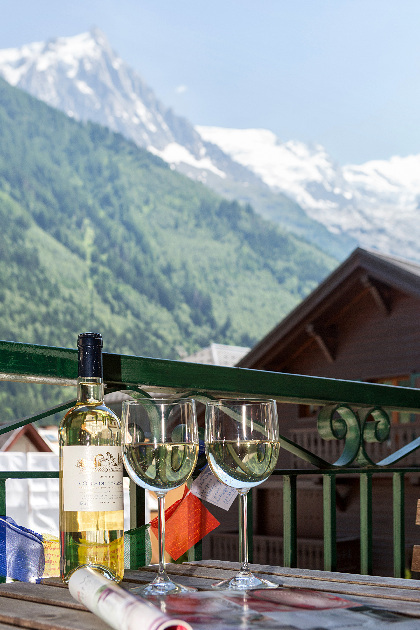 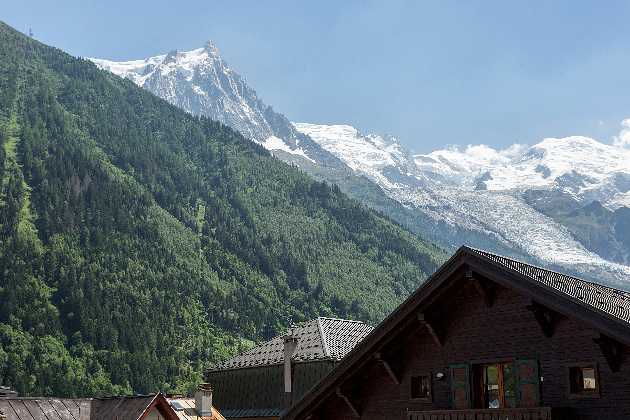 Right in the centre of Chamonix town and close to all the facilities you need, shopping, nightlife, bus links. 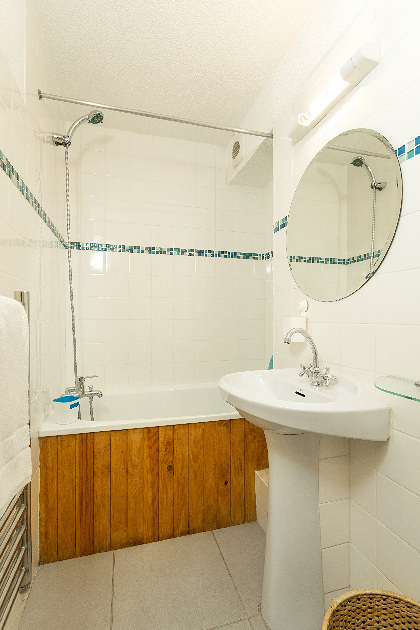 This ease and convenience means there is no need to bring a car. 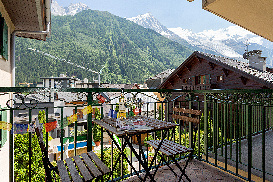 Flexibility for larger groups is possible as the apartment can be used in combination with the two other studios also advertised in this building. Centre of town means anywhere along the main shopping street called Rue du Dr Paccard that runs from one side of town to the other, this location offers a huge selection of shops, bars, restaurants, cafes, supermarkets, tourist information, cinema, ski bus stops etc right on the door step. 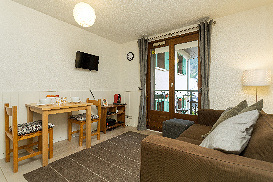 A main bus stop is no more than a 5 minute walk from any apartment located here and the train station is located close to this area.